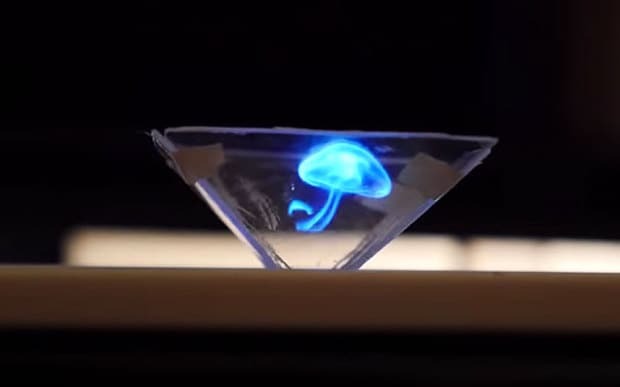 3D hologram projectors are usually really amazing. They may appear to be quite complicated technology and they are unquestionable. Although we have a very easy technique to create one on your own. At your home. Indeed. YouTube technology reviewer ‘Mrwhosetheboss’ will give you exactly how, and you don’t even require a lot to create one. All that’s necessary, is a smartphone, graph papers, a couple of scissors, a pen, some tape, a cutting knife or simply glass cutter, a ruler along with an old CD case. Step 1: Sketch a trapezium on the graph paper using sizes 1cm x 3.5 x 6cm. Sounds easy? Step 2: Trim the shape out. Step 3: Take an old CD case and break away the edges. Step 4: Trace the cut-out on the CD case. Step 5: Slice the form out using a cutting knife or glass cutter. Then cut Three more. Step 6: Join them together with tape/glue. Step 7: Put it on your smart phone and run one of these videos on YouTube. That’s it, You have converted your smart phone into something incredibly awesome.